Maplify lets travelers from all over the world create their own stories and share their experiences at destinations. Travelers can enrich their stories with text, geotagged images, audio, and video recordings. At the same time, Maplify is a marketing platform where businesses can advertise their travel services. After a successful launch of his first product, Lucas Rix returned to us with new travel app ideas. Previously, we have helped Lucas develop a contest marketplace that connects travelers with local experts. 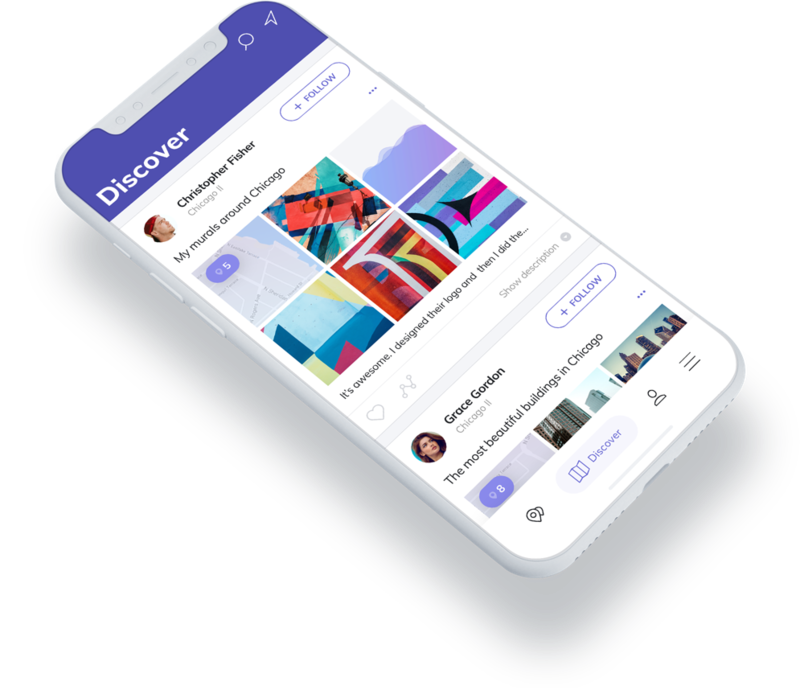 This time, Lucas wanted to create a mobile app where travelers could gather all standouts during their trips, share them with other adventure lovers, and find destinations through other people’s stories. His aim was to make each user a writer of their own narrative and help users develop strong communities. Lucas also wanted Maplify to become an effective marketing tool that business could use to interact with their potential customers without blatant advertising. This layout helps travelers easily navigate among content blocks, discover and follow the content posted by their favorite storytellers. With a worldwide search on a story map, travelers can look through stories from a specific location. 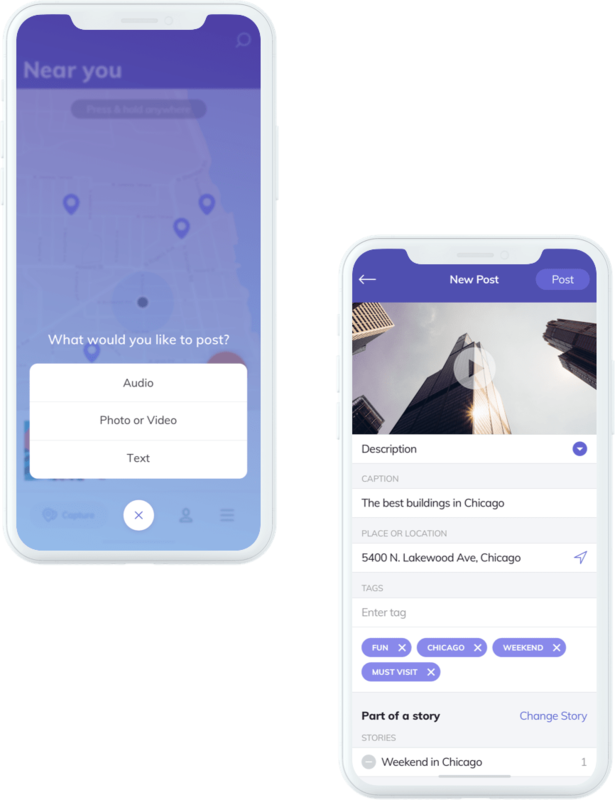 Maplify lets travelers enrich their stories with diverse content ‒ audio, video, image, and text ‒ so that travelers can fully immerse their followers in their experiences. Travelers can either create a new post or add more experiences to the existing stories. The profile data helps travelers learn more about storytellers. Each profile includes data about all posts made by the storyteller and showcases their best stories. 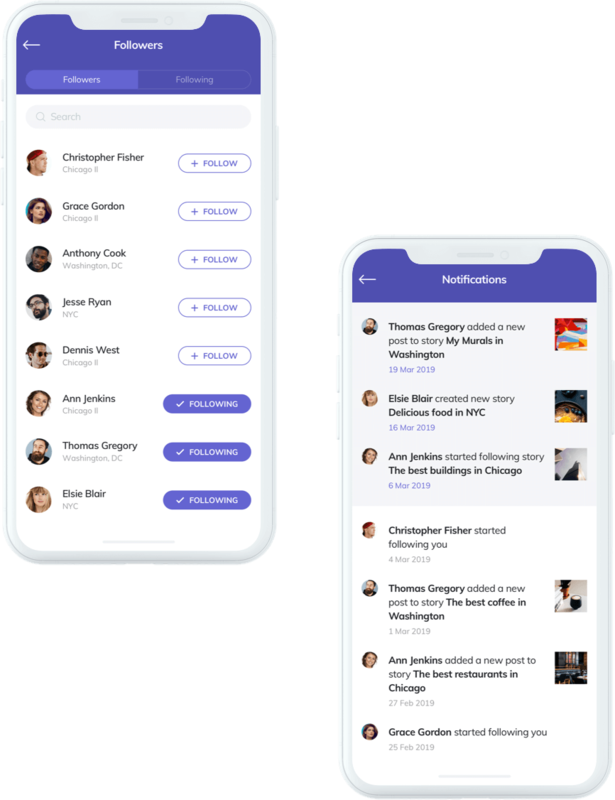 Maplify sends travelers alerts once the storytellers they follow have posted a new piece of content so they don’t miss any interesting story. The RubyGarage team conducted in-depth research to understand the core market and their key problems. The Lean Canvas helped us map the business model and define the unique value proposition. We offered a storyboard layout that helps users better process information and encourages them to explore more content. Then we created a high-fidelity prototype of the app to examine its usability and analyze user behavior. 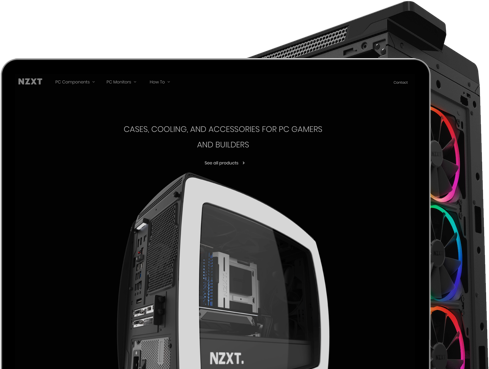 Once we got positive feedback from end customers, we began developing the actual product. RubyGarage helped Lucas Rix create a digital storytelling app that satisfies the needs of both travellers and businesses. 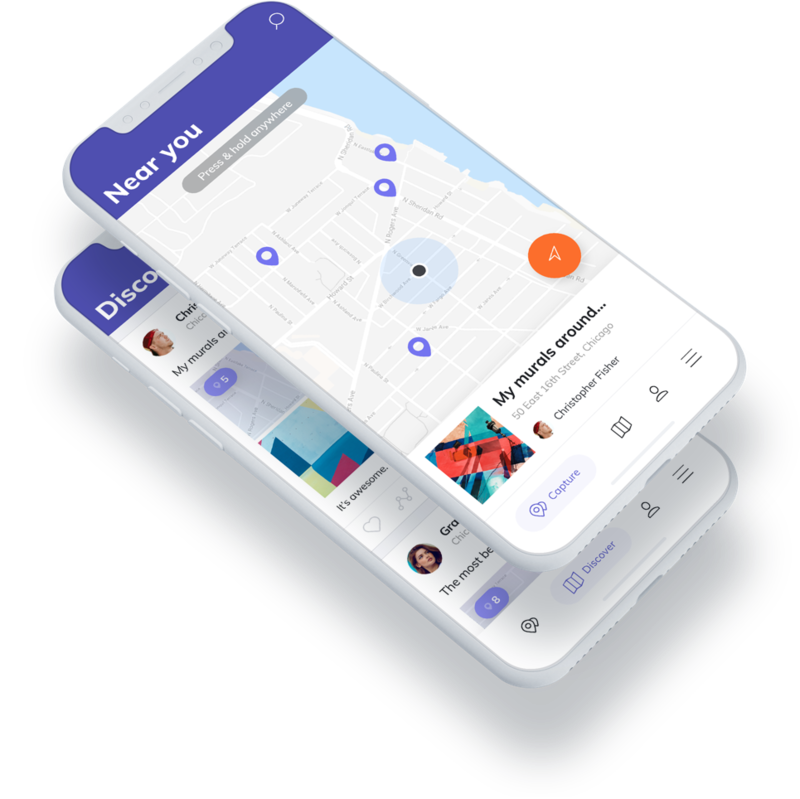 The app connects travelers worldwide, creates close-knit communities, and helps travelers find unique locations to explore. Meanwhile, it lets businesses effectively increase brand awareness and reach their prospects in a meaningful way. The design and development solutions provided by the RubyGarage team helped increase the conversion rate and improve our client’s return on investment. Maplify was created to let users share their stories with others. I wanted to give avid travelers like me a chance to transport other people to locations they’ve experienced and to make them feel the same. The RubyGarage team helped me shape my idea into the essential functionality of my future app. They have proven to be a reliable and flexible partner that is willing to go above and beyond to help. They dug hard into the project to understand particularities of my business and delivered all requirements quickly and professionally. Have an idea for a new mobile app?